Ferrari confirmed today that they re-signed Finnish driver Kimi Räikkönen for another full season alongside Sebastian Vettel, taking his total seasons with the squad up to seven, albeit with a break in the middle. Team principal Maurizio Arrivabene was relaxed about the decision and said they announced it now to take the pressure off the Finn’s shoulders as he was constantly being asked about his contract. Teammate Vettel is also glad the news is out, saying: “I think it was the right call. In general, I’ve got along with all the teammates I’ve had. 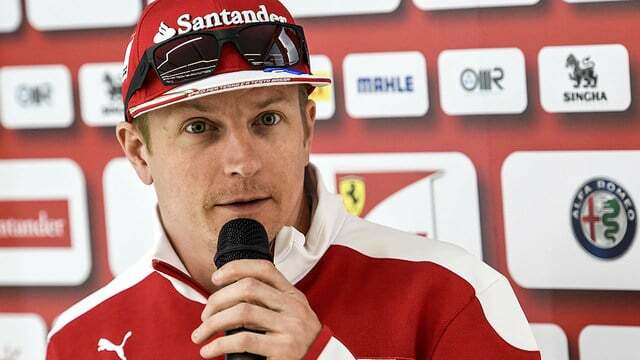 Here and there we’ve had some difficulties but with Kimi, there is no politics.” He can say that though, as in their one and a bit seasons of racing together, he’s the only one to have scored race wins.